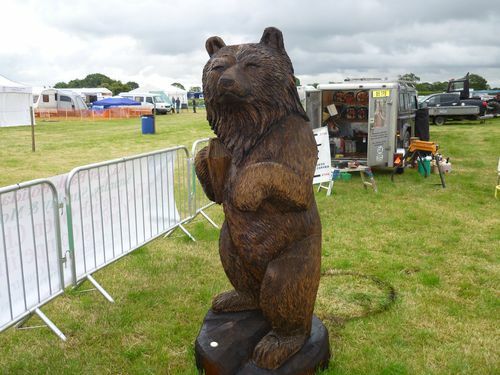 This 'Congleton Bear' is over two metres tall and has been sculpted with chainsaws from a log of Cedar. In his right paw he holds a Bible to illustrate his connection with the legend of the 'Congleton Bear. Photographed at the Cheshire Show he is now in the grouds of the Church House Public House near Congleton.